Roc Oil Company has acquired a 50% interest each in the L20 and L21 Ungani production licenses from Buru Energy for A$64m ($48m). Buru Energy was the sole owner of the two licences prior to the deal. The owners in the licences are Buru Energy (50%, operator) and Roc Oil (50%), following the deal. Roc Oil has concurrently entered a farm-in agreement to acquire a 50% interest in Ungani exploration permits EP 391, EP 428, and EP 436 from Buru Energy for A$20m ($15.02m). Buru Energy owns a 100% interest in the Ungani exploration permits. The partners in the permits will be Buru Energy and Roc Oil, upon completion of the deal. The companies will each have 50% of the interest. According to the farm-in agreement, Roc Oil will pay A$20m ($15.02m) towards the exploration programme, which involves the drilling of up to four wells. An unconventional gas accumulation located within the permits, the Laurel Formation is not part of the deal and will remain 100% owned by Buru Energy. The L20 and L21 production licences and the EP 391, EP 428, and EP 436 exploration permits are located in Canning Basin, Western Australia. The L20 and L21 production licenses also contain the Ungani oil field. Roc Oil is executing both the transactions through its subsidiary Roc Oil (Canning). The deal is expected to strengthen Roc Oil’s oil and gas asset portfolio in Australia. Buru Energy plans to use the funds generated from the divestment to strengthen its balance sheet. Vista Oil & Gas, supported by Riverstone Capital, has agreed to purchase a 50% interest in three onshore oil blocks from Jaguar Exploracion y Produccion for $37.5m. The three oil blocks include two producing blocks, CS-01 and B10, targeting the Amate formation located in Tabasco, and one exploration block, TM-01, targeting the Abra, Tamabra, and San Andres formations located in Veracruz, Mexico. Vista Oil will make an initial payment of $27.5m and an additional $10m in the form of non-reimbursable investment carry costs, as part of the transaction. Vista Oil & Gas is an energy investment firm, while Jaguar Exploracion y Produccion is an oil and gas company. Both firms are based in Mexico. The deal will provide Vista Oil access to hydrocarbons blocks located in the highly productive oil basins of Mexico. Silver Creek Midstream has received a $150m equity commitment from Tailwater Capital. Silver Creek is a midstream company, while Tailwater Capital is an investment firm. Both are based in the US. The deal is expected to strengthen Tailwater Capital’s investment portfolio. SK Holdings plans to invest $250m in Brazos Midstream Holdings. Being executed through SK Holdings’ investment company Plutus Capital, the deal will be completed by the second quarter of 2018. SK Holdings is a South Korean diversified holding company, while Brazos Midstream Holdings is a mid-stream company based in the US. The deal will expand SK Holdings’ energy businesses. US-based oil and gas company CrownRock has announced the private placement of senior notes to raise $185m. Due 2025, the notes carry an interest rate of 5.625%. The funds raised from the offering will be used by CrownRock for general partnership purposes. US-based oil and gas company EP Energy plans to raise $1bn by offering senior secured notes in a private placement. Due 2026, the notes carry a rate of 7.75%. EP Energy is executing the transaction through its subsidiary Everest Acquisition Finance. The funds raised from the placement will be utilised by the company to repay its debts and pay for expenses and general corporate purposes. 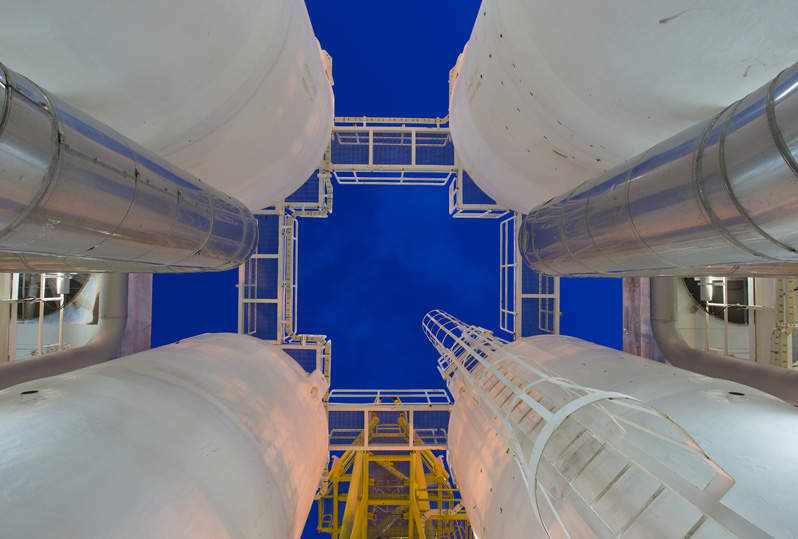 US-based downstream company Valero Energy Corp has offered 4.35% senior notes due 2028 in a public offering to raise $750m. The funds raised from the offering will be used by the company towards general corporate purposes.